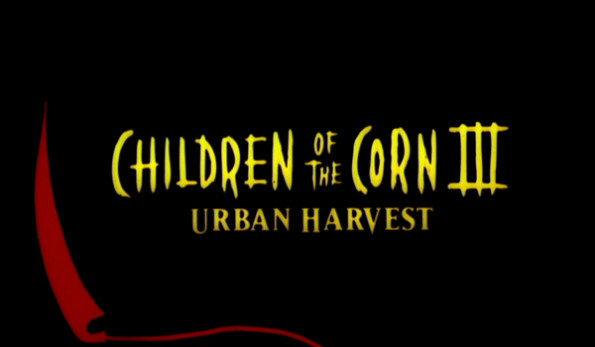 Today’s bad movie feature is 1995’s Children of the Corn III: Urban Harvest. 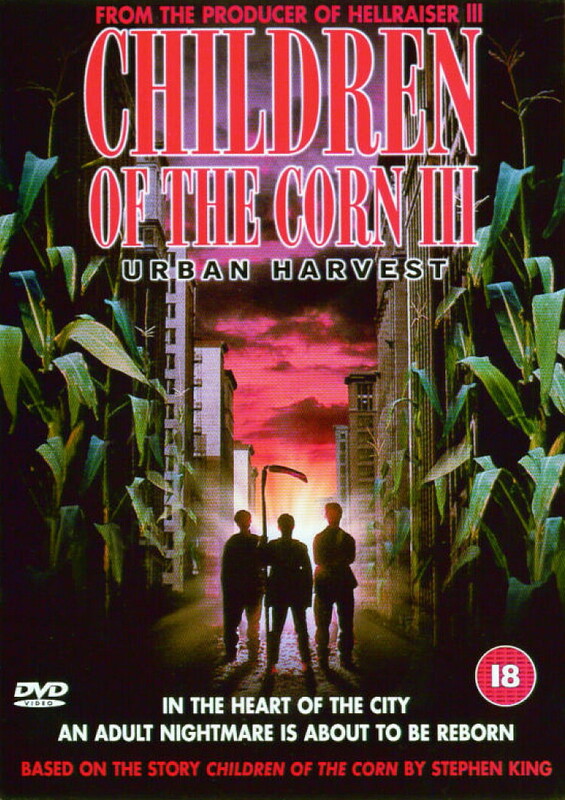 The primary writer on Children of the Corn III: Urban Harvest was Dode Levenson, who also did some work on the television show Tripping the Rift and the romantic comedy One Small Hitch. Uncredited work on the screenplay was apparently done by Matt Greenberg, who has done writing on movies like 1408, Reign of Fire, The Prophecy II, and Seventh Son. 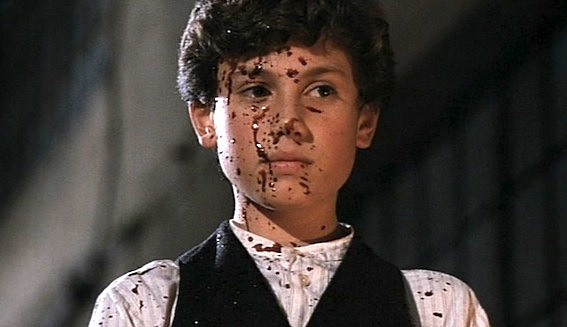 The director for Children of the Corn III was James D.R. Hickox, whose other credits include the b-movies Blood Surf and Sabretooth. The cinematographer for the film was Gerry Lively, who worked on movies like Friday, Future Shock, Project Eliminator, Hellraiser III, and Hellraiser: Bloodline. The editor on Urban Harvest was Chris Peppe, whose other cutting credits include Suicide Kings, Boiler Room, They, and The Dangerous Lives of Altar Boys. The musical score for Urban Harvest was provided by Daniel Licht, who also provided music for Thinner, Children of the Corn II, Soul Survivors, and the hit television show, Dexter. The producers for the movie included Brad Southwick (Legion, Ghost Shark), Anthony Hickox (Hellraiser III, Waxwork, Waxwork II), Gary DePew (2001: A Space Travesty), and Jim Begg (Leprechaun). The makeup effects team for Urban Harvest was made up of Screaming Mad George (Space Truckers, The Dentist 2, Arena), Karin Hanson (Wolf, The Garbage Pail Kids Movie), Gil Liberto (Son Of The Mask, Black Mass), Erik Schaper (Vampire’s Kiss, Child’s Play 2), Shaun Smith (Captain America, Tremors), David Stinnett (Child’s Play 3), N. Brock Winkless IV (Congo, Alien 3), Kevin Yagher (The Dentist, Trick or Treat, A Nightmare On Elm Street 2), Mark Garbarino (Leviathan, Ice Cream Man), Mitchell J. Coughlin (The Dentist, Face/Off), and Bryan Blair (Hollow Man, The 6th Day). The special effects work for the movie was done by Wayne Beauchamp (Hell Comes To Frogtown, Maniac Cop 2), Adam Campbell (Blade, New Nightmare), John Crawford (Space Truckers, Carnosaur), Robert Freitas (Mimic 2, Dreams in the Witch House), Grady Holder (Lake Placid, Small Soldiers, The Island of Dr. Moreau), Hiroshi Katagiri (Castle Freak, League of Extraordinary Gentlemen), Darren Perks (Spawn, Leprechaun 4, Theodore Rex), and Douglas J. Stewart (Daredevil, Torque). The cast of Children of the Corn III included Ron Melendez (The Legacy), Jim Metzler (976-EVIL, Hot To Trot), Nancy Lee Grahn (General Hospital), Daniel Cerny (Demonic Toys), and Mari Morrow (Virtuosity). Much like Children of the Corn II, the plot of Urban Harvest kicks off with two surviving children from the town from the first Children of the Corn getting adopted. 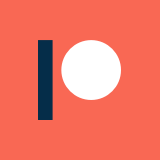 However, this time they are taken in by a couple in a nearby city, leading to a new series of hijinks and corn-related shenanigans. The two cultist kids are forced to adapt to their new surroundings, either by making new friends or by creating a new cornfield and murdering people. 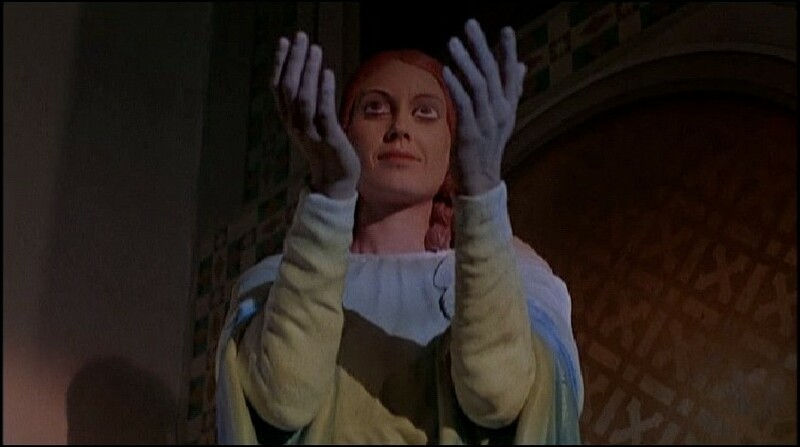 Charlize Theron (Mad Max: Fury Road, Monster) appears uncredited in Children of the Corn III as one of the children under the spell of the cult, marking her first time on screen. I wasn’t able to dig up any budget or gross information on the feature, but apparently it did make it into a handful of theaters. That said, it was far from well liked, and didn’t last long: it currently holds a rating of 4.0 on IMDb, along with a 27% audience score on Rotten Tomatoes. If there is anything positive to say about Children of the Corn III, it is that the movie tries to take the franchise in a new direction. Moving the setting to a urbanized area isn’t in itself a bad idea, but it is pretty clear from watching the movie that there wasn’t much thought into where to take the story from there. Putting two of the cultist children into catholic school doesn’t exactly make for the most compelling watch if you ask me. Once again, the child actors themselves aren’t awful in this movie. I recognized the central kid from his role in Demonic Toys, where he is weirdly dubbed over throughout the entire movie by an adult. Luckily that isn’t the case here, and he pulls off his creepy role well enough. While the main kid is creepy, and the subplot about monetizing the evil corn is hilariously outlandish, there isn’t quite enough going on here to make it worth the time spent watching it. Overall, there isn’t a whole lot to recommend with this movie outside of a few highlights (a memorable corn-based decapitation and the appearance of a giant corn monster, for instance). It generally lacks the entertainment value of Children of the Corn II if you ask me, and is ultimately just an odd idea that never really came to fruition.